(NFU) and more than 40 farming, rural and agricultural organizations sent a letter to the U.S. Department of Justice (DOJ)asking for an expanded investigation into a proposal made by food processing company JBS USA to acquire two U.S.-based beef packing plants owned by Canadian-based XL Four Star Beef. National Cattlemen’s Beef Association (NCBA) Chief Veterinarian Kathy Simmons issued the following statement regarding the U.S. Department of Agriculture’s (USDA) Animal and Plant Health Inspection Service (APHIS) final animal disease traceability (ADT) rule, which was announced by Secretary Vilsack this afternoon. “NCBA has been an industry leader in working diligently with USDA APHIS to ensure cattlemen’s concerns are addressed in this new animal disease traceability program. We are encouraged by today’s comments from Secretary Vilsack, and we are in the process of thoroughly reviewing the rule and sharing this information with our members. Bonneville Pool sturgeon anglers will again see a split season for white sturgeon on the Columbia River in 2013. Fisheries managers from Oregon and Washington this week approved a white sturgeon retention season in Bonneville Pool consisting of winter and summer periods. The winter retention period will take place from Jan. 1 through Feb. 10, or until a harvest guideline of approximately 1,150 fish is achieved. The summer season is expected to begin in mid-June to harvest the balance of the 2,000 fish harvest guideline. In The Dalles and John Day Pools, white sturgeon retention will open Jan. 1 and continue seven days per week until harvest guidelines are achieved as follows: The Dalles Pool – 300 fish; John Day Pool – 500 fish. “The clock is ticking and we are quickly going into the final hour of this lame duck session with rural America’s future hanging in the balance. “Any short-term extension of the farm bill would only cause a litany of problems that will not be easily fixed when a new farm bill eventually is signed into law. Researchers from Oregon State University are exploring the potential for quinoa to grow in the Northwest’s diverse climates. Preliminary experiments have shown that some varieties of quinoa, harvested for its tiny grain-like seeds, can be cultivated in Oregon. To expand on those findings, OSU is a partner on a four-year, $1.6 million grant from the U.S. Department of Agriculture. Growing demand for quinoa worldwide has more than doubled its price in the past decade – possibly creating an economic opportunity for Northwest farmers, according to Steve Petrie, one of the researchers on the project and the director of OSU’s Columbia Basin Agricultural Research Center. U.S. Rep. Greg Walden (R-Ore.) again called on Secretary of Labor Hilda Solis to answer a bipartisan letter from six members of the Oregon Congressional delegation requesting answers on reports of heavy-handed enforcement practices by the Labor Department. “One hundred and twenty two days ago, nearly every member of the Oregon delegation—Republicans and Democrats—wrote to the Labor Secretary after hearing reports of so-called ‘hot goods’ enforcement tactics that stopped shipments of highly-perishable berries with little opportunity for appeal,” Rep. Walden said in a speech on the floor of the U.S. House of Representatives. Merry Christmas from Natural Resource Report. 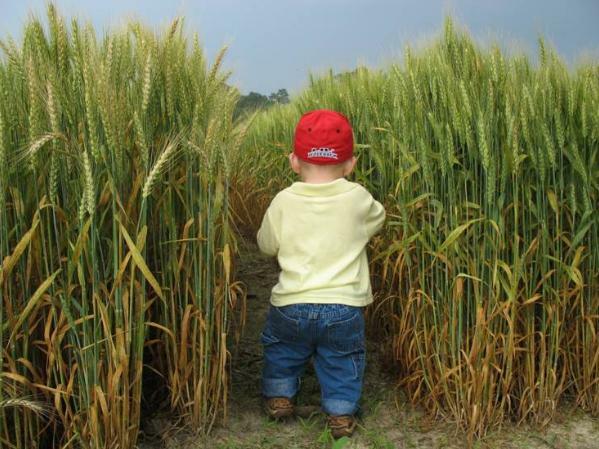 We leave you with one of the Farm Bureau photos of the year in their annual contest. The animal rights movement often is nonsensical like when female activists disrobe in public to protest the wearing of animal fur, or People for the Ethical Treatment of Animals files a lawsuit against SeaWorld for enslaving whales. The SeaWorld lawsuit was dismissed by a judge because whales already have protection under the law. Marine parks are governed by the Marine Mammals Protection Act which allows public display only if permits are obtained and performances are educational. The silly side of the animal rights movement grabs headlines now and then and makes it on the evening news and YouTube, but there is a more sinister side to the movement that uses arson and sabotage to make its point. The Food and Drug Administration (FDA) reiterated that farms do not have to register with the agency under a 2011 food safety law. The clarification was included in updated guidance and question-and-answer documents about registration requirements for smaller food facilities. FDA said the documents are intended to provide easier-to-read information for entities that might need to comply, or that might not know if they need to comply, with changes made to food safety law under the Food Safety Modernization Act of 2011.